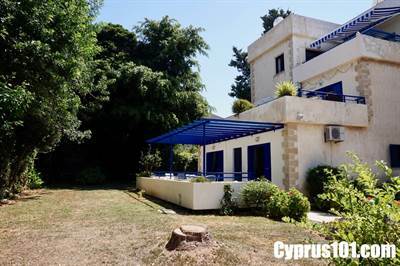 This character 2 bedroom ground floor apartment for sale in Kato Paphos is situated on a small and friendly complex in the popular touristic area of Kato Paphos. Both the living room and master benefit from easy direct access via sliding patio doors to a fabulous large terrace with open pergola, overlooking the beautifully landscaped gardens – a perfect setting for relaxing and alfresco dining. For those looking for a ideal holiday home/rental investment, this property due to it’s fantastic prime location, is a perfect option. There are full title deeds and furniture is negotiable.